MARK de CLIVE-LOWE vs ETHIO CALI – Ethio Cali Remixed! Mark de Clive-Lowe’s CHURCH continues the Summer Sessions parties at OSSO – part two of the monthly parties featuring specially invited guest bands, artists, producers, DJs and surprises alongside MdCL’s live show. 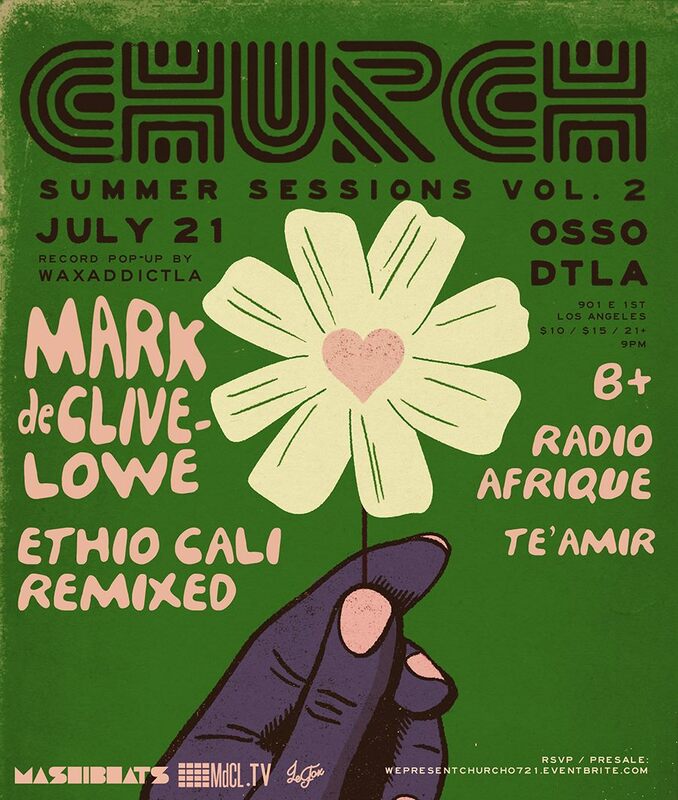 Equal parts jazz club, dance party and live remix experiment, CHURCH is a music and dance-heavy celebration of all the sounds we dig. Summer Sessions vol.2 is on Thursday 21 July with a very special lineup. ETHIO CALI gets remixed live on stage by MARK de CLIVE-LOWE, TE’AMIR drops the live beat/production set plus DJs RADIO AFRIQUE and B+ set on the turntables. * Earliest Bird Tickets – get ‘em while they last! MdCL’s trademark blend of jazz and live electronics along with band and guests… you never quite know just who is going to be in the spot and on mic!